Chemical sensitivity is a medical condition characterized by adverse health effects from exposure to common chemical pollutants and products. This study investigated the prevalence of chemical sensitivity in four countries—the United States (US), Australia (AU), Sweden (SE), and the United Kingdom (UK). In addition, it investigated the co-prevalence of chemical sensitivity with medically diagnosed multiple chemical sensitivities (MCS), fragrance sensitivity (health problems from fragranced products), asthma/asthma-like conditions, and autism/autism spectrum disorders (ASDs). Using nationally representative population samples in each country, data were collected in June 2016 and June 2017 through on-line cross-sectional surveys of adults (n = 4435). Results found that, across the four countries, 19.9% of the population report chemical sensitivity, 7.4% report medically diagnosed MCS, 21.2% report either or both, and 32.2% report fragrance sensitivity. In addition, 26.0% of the population report asthma/asthma-like conditions, of which 42.6% report chemical sensitivity and 57.8% fragrance sensitivity. Also, 4.5% of the population report autism/ASDs, of which 60.6% report chemical sensitivity and 75.8% fragrance sensitivity. Among individuals with chemical sensitivity, 55.4% also report asthma/asthma-like conditions, 13.5% autism/ASDs, and 82.0% fragrance sensitivity. Although the prevalence of chemical sensitivity across the countries is statistically different, its co-prevalences with other conditions are statistically similar. Results also found that, for 44.1% of individuals with chemical sensitivity, the severity of health effects from fragranced products can be potentially disabling. Further, 28.6% of those with chemical sensitivity have lost workdays or a job, in the past year, due to exposure to fragranced products in the workplace. Results indicate that chemical sensitivity is widespread across the four countries, affecting over 61 million people, that vulnerable individuals such as those with asthma and autism are especially affected, and that fragranced consumer products can contribute to the adverse health, economic, and societal effects. The online version of this article ( https://doi.org/10.1007/s11869-019-00672-1) contains supplementary material, which is available to authorized users. Chemical pollutants have been associated with deleterious effects on the environment and human health. A constellation of adverse health effects have been associated with chemical sensitivity, a medical condition that is typically initiated and triggered by exposure to common petrochemical products and pollutants, such as pesticides, building materials, solvents, new carpet and paint, and consumer products (Ashford and Miller 1998; Caress and Steinemann 2003; Steinemann 2018c). Health effects associated with these chemical exposures include headaches, dizziness, seizures, heart arrhythmia, gastrointestinal problems, mucosal symptoms, breathing difficulties, and asthma attacks (Steinemann 2018c, d, f, 2019; Ashford and Miller 1998). Notably, these volatile chemical products that are associated with adverse health effects are also primary sources of indoor and outdoor air pollutants (McDonald et al. 2018; Ott et al. 2007). Among these sources of exposure, fragranced consumer products can be a primary trigger of health problems. Fragranced consumer products (or fragranced products)—chemically formulated products with the addition of a fragrance or a scent (Steinemann 2015)—include a range of items such as air fresheners, laundry products, cleaning supplies, personal care products, colognes, and household items. An individual “fragrance” in a product is typically a complex mixture of several dozen to several hundred compounds, many derived from petrochemicals (Sell 2006). Fragranced products have been associated with adverse health and societal effects in the general population (Caress and Steinemann 2009b; Steinemann 2016, 2017, 2018a, b), and especially vulnerable sub-populations such as those with asthma (Weinberg et al. 2017, Steinemann et al. 2018, Steinemann 2018g), autism (Steinemann 2018e), and chemical sensitivity (Caress and Steinemann 2005, 2009a, b; Steinemann 2018c, d, f, 2019). Relatively little is known about the prevalence of chemical sensitivity at the national or international levels, or its co-prevalence with other health conditions. One challenge is the lack of an internationally consistent definition and diagnostic criteria (e.g., Lacour et al. 2005; MCS 1999; De Luca et al. 2011; Genuis 2010). Another challenge is that different studies often use different terms and criteria for assessment. While chemical sensitivity is a common and general term, other terms include chemical intolerance (Palmquist et al. 2014; Miller 2001), toxicant-induced loss of tolerance (Miller 1997), and multiple chemical sensitivities (Ashford and Miller 1998). Further, chemically sensitive individuals may manifest the condition even though they lack a specific diagnosis. Nevertheless, prior studies have operationalized characteristics of chemical sensitivity in order to investigate the condition. Prior national prevalence studies of chemical sensitivity in the general population include the following. In the US, two surveys, conducted 2002–2003 (n = 1057) and 2005–2006 (n = 1058), found respectively a prevalence of 11.1% and 11.6% self-reported chemical sensitivity, and 2.5% and 3.9% medically diagnosed MCS (Caress and Steinemann 2005, 2009a). Chemical sensitivity was assessed as being “allergic or unusually sensitive to everyday chemicals like those in household cleaning products, paints, perfumes, detergents, insect spray, and things like that.” In Japan, a survey in 2012 (n = 7245) estimated a prevalence of 7.5% of chemical intolerance (Azuma et al. 2015). In Denmark, a survey in 2010 (n = 2000) found a prevalence of 8.2% of chemical intolerance (Skovbjerg et al. 2012). Chemical intolerance was assessed in these two studies using the Quick Environmental Exposure and Sensitivity Inventory (QEESI) criteria (Miller and Prihoda 1999). Also in Denmark, a survey in 2006 (n = 6000) found a prevalence of 27% reporting symptoms related to inhalation of airborne chemicals such as perfume, motor vehicle exhaust, and cleaning agents (Berg et al. 2008). This present study investigates the prevalence of chemical sensitivity across four countries, and its co-prevalences with medically diagnosed MCS, fragrance sensitivity, asthma/asthma-like conditions, and autism/ASDs. This study also examines the types of health effects associated with exposures to fragranced consumer products, and societal effects such as access to public places, lost workdays and lost jobs, and preferences for fragrance-free environments. It provides a meta-analysis and synthesis of the individual studies in each country (Steinemann 2018c, d, f, 2019), together with new statistics on the co-prevalences among the conditions, offering greater depth and breadth of findings into the pervasiveness and effects of chemical sensitivity in the general population and in vulnerable sub-populations. Four national cross-sectional surveys, using the same instrument implemented in each country’s native language, were conducted of adults in the United States (US), Australia (AU), United Kingdom (UK), and Sweden (SE). Sample populations were representative of the general populations according to age, gender, and region (n = 1137, 1098, 1100, 1100; respectively; confidence limit = 95%, margin of error = 3% for all studies). Using randomized participant recruitment (SSI 2016), the surveys drew upon large web-based panels (with over 5,000,000; 200,000; 900,000; 60,000 people, respectively) held by Survey Sampling International. The survey instrument was developed and tested over a two-year period before full implementation in June 2016 (US, AU, UK) and June 2017 (SE). The survey response rate was 94%, 93%, 97%, and 92% (respectively), and all responses were anonymous. The research study received ethics approval from the University of Melbourne. Survey methods are detailed in the Electronic supplementary material (ESM-Methods). Descriptive statistics and cross-tabulations determined percentages according to each response and sub-population; see Electronic supplementary material (ESM-Data). Prevalence odds ratios (PORs) measured the strength of associations to determine whether one sub-population is proportionally more affected than another. Chi-squared analyses compared proportions among countries to determine whether a statistically significant difference exists. All POR and Chi-squared analyses were performed using a 95% confidence interval (CI) or a 95% confidence level, respectively. To promote comparability, the survey replicated questions from previous studies of chemical sensitivity, MCS, asthma/asthma-like conditions, autism/ASDs, and fragrance sensitivity (Steinemann 2016, 2017, 2018a, b, c, d, e, f, g, 2019; Steinemann et al. 2018; Kreutzer et al. 1999; Caress and Steinemann 2005, 2009a, b), as follows. For asthma/asthma-like conditions, the survey asked, “Has a doctor or health care professional ever told you that you have asthma or an asthma-like condition?” If the respondent answered yes, the survey then asked to specify whether “asthma” or an “asthma-like condition” or both. For autism/autism spectrum disorders (ASDs), the survey asked, “Has a doctor or health care professional ever told you that you have autism or autism spectrum disorder?” The survey then asked to specify whether autism, ASD, or both. For fragrance sensitivity, the survey asked, “Do you experience any health problems when exposed to (fragranced product or exposure context)?” If the respondent answered yes, the survey then asked about which health problems they experienced. An individual was considered to characterize fragrance sensitivity if they reported one or more types of health problems from exposure to one or more types of fragranced consumer products or exposure contexts. Fragranced products were categorized as follows: (a) air fresheners and deodorizers (e.g., sprays, solids, oils, disks), (b) personal care products (e.g., soaps, hand sanitizer, lotions, deodorant, sunscreen, shampoos), (c) cleaning supplies (e.g., all-purpose cleaners, disinfectants, dishwashing soap), (d) laundry products (e.g., detergents, fabric softeners, dryer sheets), (e) household products (e.g., scented candles, restroom paper, trash bags, baby products), (f) fragrance (e.g., perfume, cologne, after-shave), and (g) other. Exposure contexts included the following: air fresheners or deodorizers used within indoor environments, scented laundry products coming from a dryer vent, being in a room after it was cleaned with scented cleaning products, being near someone wearing a fragranced product, and exposure to other types of fragranced consumer products. Health effects were categorized as follows: (a) migraine headaches, (b) asthma attacks, (c) neurological problems (e.g., dizziness, seizures, head pain, fainting, loss of coordination), (d) respiratory problems (e.g., difficulty breathing, coughing, shortness of breath), (e) skin problems (e.g., rashes, hives, red skin, tingling skin, dermatitis), (f) cognitive problems (e.g., difficulties thinking, concentrating, or remembering), (g) mucosal symptoms (e.g., watery or red eyes, nasal congestion, sneezing), (h) immune system problems (e.g., swollen lymph glands, fever, fatigue), (i) gastrointestinal problems (e.g., nausea, bloating, cramping, diarrhea), (j) cardiovascular problems (e.g., fast or irregular heartbeat, jitteriness, chest discomfort), (k) musculoskeletal problems (e.g., muscle or joint pain, cramps, weakness), and (j) other. Societal effects included the following: ability to access restrooms, businesses, and other locations that use air fresheners or other fragranced products; loss of workdays or lost jobs due to illness from fragranced product exposure in the workplace; disabling health effects from exposure to fragranced products; and preferences for fragrance-free workplaces, healthcare facilities, and healthcare professionals. Results are presented herein for individual countries (US, AU, UK, SE, respectively) and as summaries across all four countries. Tables 1, 2, 3, 4, and 5 provide the main findings. Full results, including data and statistics for each individual country and summaries, according to questionnaire responses and sub-populations, are provided as Electronic supplementary material (ESM-Data). Across the four countries (n = 4435), 19.9% of the general population report chemical sensitivity (25.9%, 18.9%, 16.3%, 18.5%), 7.4% report medically diagnosed MCS (12.8%, 6.5%, 6.6%, 3.6%), and 21.2% report either or both chemical sensitivity/MCS (27.5%, 19.9%, 18.0%, 19.5%) (Table 1). Among those with chemical sensitivity, 29.2% report diagnosed MCS (42.9%, 29.0%, 30.2%, 14.7%). Among those with diagnosed MCS, 80.1% report chemical sensitivity (86.9%, 84.5%, 74.0%, 75.0%). For those with either or both conditions, 93.7% report chemical sensitivity (93.9%, 95.0%, 90.4%, 95.3%) and 33.6% report diagnosed MCS (46.3%, 32.6%, 36.9%, 18.7%) (Table 1). For chemical sensitivity, the proportions among the four countries are statistically different (p < 0.001, Chi-square test), and for diagnosed MCS, the proportions are statistically different (p < 0.001, Chi-square test). Also, among those with chemical sensitivity who also report diagnosed MCS, the proportions are statistically different (p < 0.001). However, among those with diagnosed MCS who also report chemical sensitivity, the proportions are statistically similar (p = 0.687). Across the countries, 32.2% of the general population report fragrance sensitivity (34.7%, 33.0%, 27.8%, 33.1%). Further, 82.0% of individuals with chemical sensitivity also report fragrance sensitivity (81.0%, 82.6%, 77.7%, 86.8%). Thus, individuals with chemical sensitivity are more likely to be fragrance sensitive than the general population (Table 1). For fragrance sensitivity, the proportions among the four countries are statistically different (p < 0.03, Chi-square test). However, among those with chemical sensitivity who also report fragrance sensitivity, the proportions are statistically similar (p = 0.795). Across the countries, 26.0% of the general population report diagnosed asthma/asthma-like conditions (26.8%, 28.5%, 25.3%, 23.2%). In addition, 55.4% of individuals with chemical sensitivity also report asthma/asthma-like conditions (59.2%, 56.5%, 57.0%, 49.0%), and 42.6% of individuals with asthma/asthma-like conditions also report chemical sensitivity (57.0%, 37.4%, 36.7%, 39.2%). Further, 57.8% of individuals with asthma/asthma-like conditions are also fragrance sensitive (64.3%, 55.6%, 54.0%, 57.3%). Thus, individuals with chemical sensitivity are more likely to report asthma/asthma-like conditions, and individuals with asthma/asthma-like conditions are more likely to be chemically sensitive and fragrance sensitive, than the general population (Table 1). Among those with chemical sensitivity who also report asthma/asthma-like conditions, the proportions among the four countries are statistically similar (p = 0.496). Across the countries, 4.5% of the general population report diagnosed autism/ASDs (4.3%, 3.7%, 4.7%, 5.1%). In addition, 13.5% of individuals with chemical sensitivity also report autism/ASDs (13.3%, 13.0%, 16.2%, 11.3%), and 60.6% of individuals with autism/ASDs also report chemical sensitivity (79.6%, 65.9%, 55.8%, 41.1%). Further, 75.8% of individuals with autism/ASDs are also fragrance sensitive (83.7%, 82.9%, 84.6%, 51.8%). Thus, individuals with chemical sensitivity are more likely to report autism/ASDs, and individuals with autism/ASDs are more likely to be chemically sensitive and fragrance sensitive than the general population (Table 1). Among those with chemical sensitivity who also report autism/ASDs, the proportions among the four countries are statistically similar (p = 0.624). Fragranced products pose particular problems for the chemically sensitive. Results are summarized in this section and in Tables 2, 3, and 4. Full results for each country, according to the general population and sub-populations of those with chemical sensitivity, diagnosed MCS, and chemical sensitivity/MCS, are provided as Electronic supplementary material (ESM-Data). Among chemically sensitive individuals, 82% are fragrance sensitive, reporting adverse health effects from fragranced consumer products. Fragranced products and exposure contexts that are associated with health problems include but are not limited to the following: air fresheners and deodorizers (54.8%), scented laundry products coming from a dryer vent (26.4%), being in a room recently cleaned with scented products (53.8%), being near someone wearing a fragranced product (56.5%), and other types of fragranced consumer products (58.9%) (Table 2). Types of adverse health effects associated with these fragranced product exposures, for chemically sensitive individuals, include respiratory problems (50.2%), mucosal symptoms (39.4%), migraine headaches (36.9%), skin problems (29.9%), asthma attacks (25.2%), and neurological problems (17.7%), among others (Table 3). Disabling health problems can result from fragranced product exposures. The severity of health problems associated with fragranced products was investigated, using criteria from each country’s disability legislation (ADAAA 2008, DDA 1992, EA 2010, DA 2008). Among those adversely affected by fragranced products, for 29.1% of the general population, 44.1% of individuals with chemical sensitivity, and 61.7% of individuals with diagnosed MCS, the health effects from fragranced product exposures are reported as potentially disabling (Table 4, and ESM-Data Table 20). Societal access can be restricted by fragranced products. For individuals with chemical sensitivity, 37.4% are unable or reluctant to use public restrooms that have an air freshener, deodorizer, or scented product; 32.1% are unable or reluctant to wash hands in a public place if the soap is fragranced; 51.0% enter a business but then leave as quickly as possible due to a fragranced product; and 46.5% have been prevented from going someplace because a fragranced product would make them sick (Table 4). 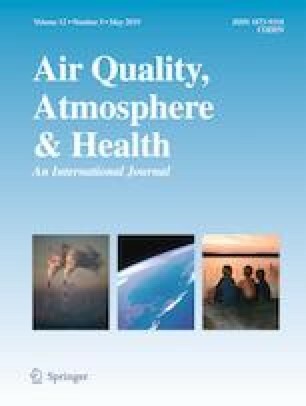 Lost workdays and lost jobs are associated with exposure to fragranced products: 9% of the general population, 28.6% of individuals with chemical sensitivity, and 45.0% of individuals with diagnosed MCS, have lost workdays or lost a job, in the past year, due to illness from fragranced product exposure in the workplace. For individuals with chemical sensitivity, this loss represents more than 23 million people in the four countries (Table 4 and ESM-Data Table 29; USCB 2018, ABS 2018, ONS 2018, SCB 2018). Fragrance-free policies receive strong support. Among those with chemical sensitivity, 70.2% would be supportive of a fragrance-free policy in the workplace (compared to 10.9% that would not). Also, 75.4% would prefer that healthcare facilities and healthcare professionals be fragrance-free (compared to 11.9% that would not). Thus, more than six times as many individuals with chemical sensitivity would prefer that workplaces, healthcare facilities, and healthcare professionals were fragrance-free than not (Table 4). Among the general population, 47.8% would be supportive of a fragrance-free policy in the workplace (compared to 20.4% that would not). Also, 51.4% would prefer that healthcare facilities and healthcare professionals be fragrance-free (compared to 22.1% that would not). Thus, more than twice as many individuals in the general population would prefer that workplaces, healthcare facilities, and healthcare professionals were fragrance-free than not (Table 4). Demographic proportions of chemical sensitivity are 40.1% male and 59.9% female, and diagnosed MCS are 56.2% male and 43.8% female, compared with the general population proportions of 49.1% male and 51.0% female. Thus, chemical sensitivity has a female bias (+ 8.9%), and diagnosed MCS has a male bias (+ 7.1%). Relative to gender and age, the highest bias for chemical sensitivity is female 35–44 (+ 2.5%) and for diagnosed MCS is male 25–34 (+ 9.4%) (Table 5). Chemical sensitivity is pervasive across the four countries, affecting an estimated 61 million adults (USCB 2018, ABS 2018, ONS 2018, SCB 2018). Individuals with chemical sensitivity, asthma/asthma-like conditions, and autism/ASDs all have a higher prevalence of fragrance sensitivity than those without these conditions. Chemically sensitive individuals are proportionally more likely to report asthma/asthma-like conditions (POR 5.54; 95% CI 4.74–6.49), autism/ASDs (POR 6.68; 95% CI 4.98–8.97), and fragrance sensitivity (POR 18.54; 95% CI 15.32–22.43) than non-chemically sensitive individuals. Also, individuals with asthma/asthma-like conditions are proportionally more likely to report chemical sensitivity (POR 5.54; 95% CI 2.23–3.99) and fragrance sensitivity (POR 4.54; 95% CI 3.93–5.23) than individuals without asthma/asthma-like conditions. In addition, individuals with autism/ASDs are proportionally more likely to report chemical sensitivity (POR 7.55; 95% CI 5.57–10.24) and fragrance sensitivity (POR 7.25; 95% CI 5.21–10.10) than individuals without autism/ASDs. Even though the prevalences of each chemical sensitivity, diagnosed MCS, and fragrance sensitivity among the four countries are statistically different, the co-prevalences of conditions are statistically similar for chemical sensitivity with fragrance sensitivity, chemical sensitivity with asthma/asthma-like conditions, and chemical sensitivity with autism/ASDs. Further, the proportion of individuals with diagnosed MCS who also report chemical sensitivity is statistically similar across the countries. However, the proportion of individuals with chemical sensitivity who also report diagnosed MCS is statistically different across the countries. Study strengths include the following: (a) sample populations are statistically representative of the general populations according to age, gender, and region in each country; (b) survey respondents were randomly recruited from large web-based panels that reflect population characteristics; and (c) the survey replicated questions from previous national population studies for consistency and comparability. Study limitations include the following: (a) only adults ages 18–65 were surveyed, which excludes data from other age groups; (b) the survey relied on self-reported data, although self-report is a standard and widely accepted approach for epidemiological research; and (c) the cross-sectional design of the survey obtains data from one point in time, although the survey can be repeated. In conclusion, the study indicates that chemical sensitivity is an international public health problem. Further, individuals with chemical sensitivity report a higher co-prevalence of fragrance sensitivity, asthma/asthma-like conditions, and autism/ASDs than individuals without chemical sensitivity. Exposure to fragranced consumer products can exacerbate the adverse health and societal effects, especially for these vulnerable sub-populations with chemical sensitivity, asthma/asthma-like conditions, and autism/ASDs. Reducing exposure to fragranced products, such as through fragrance-free policies, can reduce adverse effects for not only vulnerable individuals but also the general population. I thank the anonymous reviewers of this article for their very helpful comments. I also thank John Barrie and Survey Sampling International for their valuable contributions. This article is written as a tribute to my departed colleague, Dr. Stanley Caress. The survey research in Australia was supported in part by the Australian Government’s National Environmental Science Program through the Clean Air and Urban Landscapes Hub. The research study received ethics approval from the University of Melbourne.